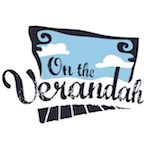 Join an On The Verandah Kimberley workshop and experience life on a remote cattle station, get to know the owners and live the way they live. Workshop learning is interspersed with unique activities that you won't find in tourism brochures. ​Strictly limited to 10 guests. SOLD OUT. Waitlist available. Booking now for 2020 is recommended. This trip is postponed due to insufficient bookings. ​Our 7th Kimberley Photo workshop with Bewley Shaylor for those who have taken up photography recently or shoot like a pro. Improve your in-camera and post-production skills on a fun 7 day itinerary; access special, non-touristy locations with... Read more. Strictly limited to 8 guests. A rare opportunity to learn from one of Australia's leading contemporary artists. Paint and draw in the colourful historic port city of Fremantle, Western Australia. Call 0428 254529 for more information or email for more. Join WA writer, Dr Nandi Chinna for a 7 Day trip - our 3rd with Nandi in the East Kimberley. Engage in deep listening, sensory walking, wild writing and... Read more. We are devoted and passionate! Offering just a few trips each year - and small groups. Loyal guests automatically receive a discount for their 2nd, 3rd, 4th trips and workshops with us. You'll receive the discount on your Kimberley or Italy trip even if your previous workshop was only a 3 hour workshop in Perth. In 2018, ten previous guests returned to holiday with us and in 2019 we are already welcoming back six previous guests. ​We only have about 50 guests a year so are very humbled with this result. It tells us we offer a trusted service, value for money and a great experience for travellers in search of a holiday with a difference. ​Read what previous guests have said about how we offer a different kind of holiday.